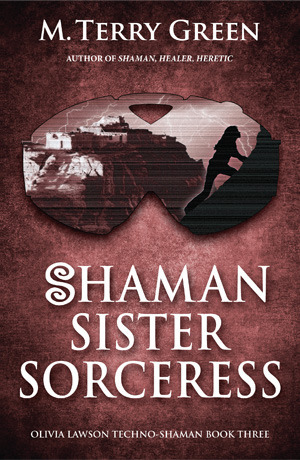 If techno-shaman Olivia Lawson thinks a trip to the Hopi mesas is the escape she needs, she is gravely mistaken. Abducted from her tour, Livvy quickly discovers that all is not as it seems in the quiet villages. Formidable shamans draw her into a bitter and centuries-old conflict. While Livvy struggles to do what's right, she can't help but pursue an unexpected chance to be with the man she loves. Having enjoyed the previous two books, I was keen see what would happen to Olivia next. Happily this third instalment did not disappoint. I found the storyline involving Hopi culture fascinating and Olivia shone through as a sassy and determined heroine. Once again, there was good pacing and a prose style that was easy and pleasant to read while still allowing a suitable level of description. Due to back references, this is a series you should read in order. If you haven't come across it yet, I can recommend grabbing a copy of book one and working your way through.